FUEL PUMP PARTS - Rice Equipment Inc.
Pictured is uncaged style fuel pump. It uses small , flat hex shape check valves. Located under plug nut (#9) and acorn nut (#14) on top. 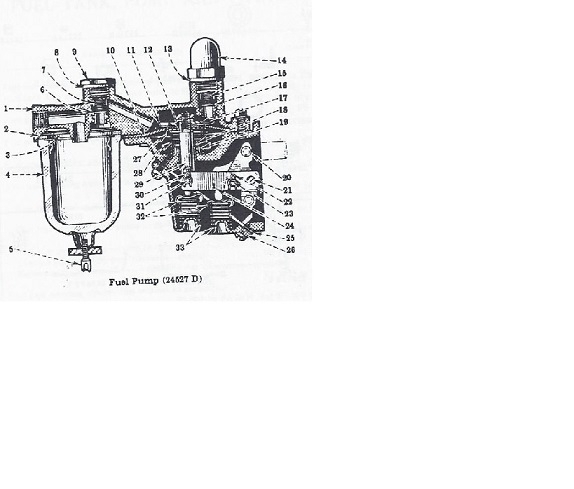 Caged style pump uses round disc with spring valve in middle. Caged stlye fuel tunnel is straight across sediment bowl.